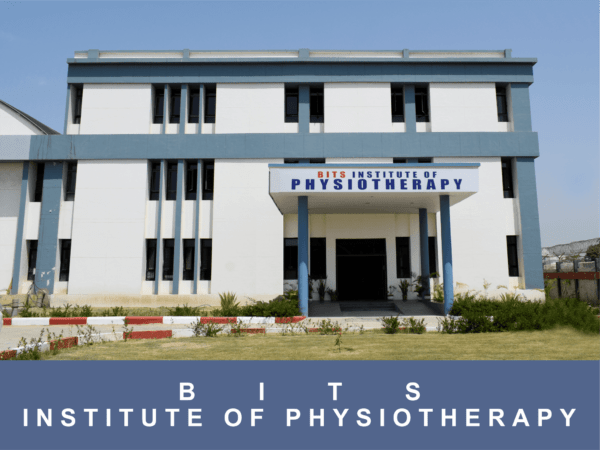 BITS Institute of Physiotherapy is offering Bachelor of Physiotherapy (B.P.T) course since Academic Year 2014-15. Granted intake capacity is 75 seats. Course duration is 4 ½ years, that includes 6 months of compulsory rotatory internship. BITS Edu campus is a self-contained campus located in lush green land in the heart of Gujarat besides National Highway #8. Our institute enables the shaping of the students to become successful Physiotherapists and thereby helping the patients to recover faster. Our institute is approved by Government of Gujarat, affiliated to Shri Govind Guru University and is recognized by the I.A.P (Indian Association of Physiotherapists). The presence of highly qualified faculties backed by skilful, trained and supporting staffspecialized in various streams of Physiotherapy. This institute has therapeutic labs and departments with advanced equipment for teaching Physiotherapy skills to the students throughout course duration. The institute has Out Patient Departments and Advanced Diagnostic Lab where physiotherapy consultation and treatment are free. The institute regularly organizes Physiotherapy camps for the health awareness, especially in the rural areas around the city. The students are provided with the regular hospital visits with an aim to enhance their practical skills. The institute runs with the motivation and vision of our Hon’ble Founder President and Chairman, Shree Jagdishbhai Patel. FIRST EVER IN GUJARAT A+++ RATING FROM INTERNATIONAL ACCREDITATION ORGANIZATION (IAO) USA. Greetings! It is my pleasure to introduce you to BITS Institute of Physiotherapy through our website. The purpose of this website is to give you glimpses of the many exciting learning experiences happening here. Navigating through menu of the website you may find interesting and helpful information. The website is evolving and will have more interesting information. Our vision of education extends far beyond the classroom. Learning here takes place in many shapes and forms. We work as a team of students, teachers, parents, and community as we encourage our students to believe in themselves, achieve knowledge, and gain required skills in order to become successful as they move through their academic years. We encourage our students to involve themselves in the broad co-curricular program. We are very proud that our students have secured 5 out of top 10 ranks among 13 Gujarat University affiliated colleges viz., I, II, III, VI and VIII ranks, first ever from any Gujarat University affiliated colleges. We are excited about this year as our students continue to grow and our programs improve each year. We are confident that this year will be yet another best year! We are developing an infrastructure to enhance research environment, and we aspire to create facilities of surpassing excellence and offer research training in advanced physical therapy. We aim to give every student the very best possible education in order to prepare them for life beyond college. We strive to enhance quality of Teaching-learning and Research; and collaborate with other stakeholders of Higher Education for Quality evaluation, Promotion and Sustenance. Of course, this website cannot take the place of visiting our campus; we warmly welcome you to visit our campus by contacting us, and discover yourself what makes BITS edu campus so special. Hoping to see you at our campus! Take your career to the next level through excellent education. A great opportunity to experience another culture in a short period of time. A value-added learning method for practical learning. 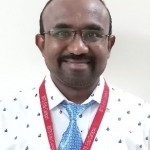 “The organised lecture halls, state of art laboratories and highly talented lecturers and professors cemented my dream to become a successful Electrical Engineer. The green campus in itself provides motivation to study more. The drive in BITS Edu Campus is to understand the logic behind the concepts and evaluate them systematically. Moreover, the hands on experience through the wide range of practicals and work experiences provides a better insight into the subject. Also, the admin staff are always willing to help and provide a sense of belonging of home at the campus. In addition, the innovative tech-fest, seminars, festivals and campus placements encapsulates the life’s journey in 4 years to ensure for a successful transition from a student to an engineer and a responsible citizen. Saurabh Patel, FLUOR Corporation, San Francisco.